When my gorgeous pets Morticha and Corey crossed over the Rainbow Bridge in 2012, just three months apart; I was devastated. I could never have pictured not having them in my life! I could also never have imagined the effect this loss had on many of my family and friends. In memory of my fur-babies I started this blog. Never ever pass an animal in need – even if it is a chicken on the motorway or turtle on the road. Yes it has happened! 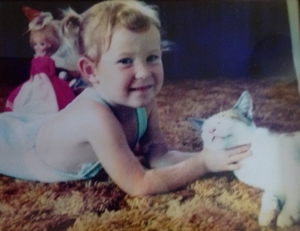 I simply adore animals…I have always had a various array of pets since a very young child. I cannot even think of a time in my life where I did not have a fur or feathered best friend and I could never imagine my life without a pet of some sort in it. I have spent my life (and will continue to do so) surrounding myself with my own pets (and yours if you let me! LOL) and supporting all things animal welfare. Pressplay Pets has since evolved to include articles on health & care, news, reviews & personal accounts of unconditional love & at times heartfelt pain of being a pet parent! This blog is for like minded pet people who share my unparalleled love and welfare of all animals. Our very much appreciated followers are an ever growing community of modern age pet parents who agree; we adore our fur and feathered babies so much we bring them into our homes and embrace them with unconditional love! Quite simply my pets are my life and everything pets is my passion. If this is you too, I hope you will continue to follow us! Nikki – Pressplay Pets!